Following the popularity of Charles Dickens’s A Christmas Carol (1843), Victorian newspapers and magazines frequently featured ghost stories at Christmas time, and reading them by candlelight or the fireside became an annual tradition. 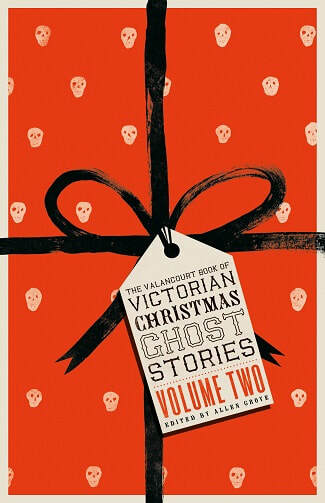 This second volume of Victorian Christmas ghost stories contains fifteen tales, most of which have never been reprinted. They represent a mix of the diverse styles and themes common to Victorian ghost fiction and include works by once-popular authors like Grant Allen and Eliza Lynn Linton as well as contributions from anonymous or wholly forgotten writers. This volume also features a new introduction by Prof. Allen Grove. Albert Smith, "A Real Country Ghost Story" • Emily Arnold, "The Secret of the Treasure Chamber" • Theo Gift, "Number Two, Melrose Square" • Anonymous, "The Weird Violin" • E. Morant Cox, "Walsham Grange" • Coulson Kernahan, "Haunted!" • W. W. Fenn, "The Steel Mirror" • Anonymous, "White Satin" • Alfred Crowquill, "Nicodemus" • Grant Allen, "Wolverden Tower" • Eliza Lynn Linton, "Christmas Eve at Beach House" • Isabella F. Romer, "The Necromancer" • James Grant, "The Veiled Portrait" • Anonymous, "The Ghost Chamber" • A. S., "The Terrible Retribution"